Released in 2015, the BSF tool was HEULE's innovative answer to a growing demand in automated tools for back spotfacing and back counterboring applications. With the ultimate goal in mind to decrease cycle times, reduce labor, and improve the consistency of the finished holes for high-volume manufacturers using CNC machines, HEULE carefully designed the BSF tool to process bore edges in a single pass, eliminating the need to turn the workpiece. Since the machining is done from the same side as the bore is drilled, it is also possible to apply spot faces or counter bores in areas that are difficult to access, such as bores between the forks of yokes or screw head counter sinks. Designed to accomodate a counterbore ratio of up to 2.3xd, the BSF is used for diameters from 6.5 to 20 mm. Three years after its release, the BSF tool is proving to be a successful innovation as a back spotfacing and back counterboring tool. "BSF is a great tool and definitely gets the job done," said HEULE National Sales Manager Bill Hargrove, "It's economical and it's fast. You can't beat it in that regard. In sales, it has done really well and has become one of our standard breadwinners up there with the established COFA and SNAP tool lines that are high performers for us." Numerous customers are happy with the results that the BSF tool is giving them, across the board in all industries, from aerospace and automotive to energy and heavy construction. With proven case studies in all of these areas, the BSF is also gaining media attention from both Canadian Metalworking and Modern Machine Shop for its success machining aluminum castings for the defense industry at SICOM Industries. For jobs like this one, the BSF's speed and precision is saving huge dollars on production and labor, while also reducing the amount of scrapped parts due to inconsistencies in the finished holes. At SICOM, like many other precision machining companies, success boils down to having the right tool for a very specific applications. In their case, it was an aluminum casting for the defense industry, a part that had 40 internal cavities that were difficult and time-consuming to machine. The traditional-style back spotfacing tool they were using was resulting in machine downtime, operator frustration, and scrapped parts. Mill department manager at SICOM, Nathan Barker, found the BSF tool in a metalworking catalog and then looked online to our website to research the tool. As it turned out, purchasing the BSF allowed Barker to automate his process, produce on-spec parts, and meet the time demands of his customer. "It has automated a process for me which was very labor-intensive. It has freed up operator time because when I get past a certain feature, it is lights-out machining," Barker said. Some customers, particularly those with more demanding applications with hard-to-access bores, are skeptical at first as to whether there is a solution that will save them time and money over their current processes. In one aerospace application, the customer was spending 6 hours for one component. Because the bores were so difficult to access, the part needed to be set up several times. Countersinks were carried out by a box column drill. For the other counterbores, he used a counterbore tool with a plug-in head for the back bore machining. 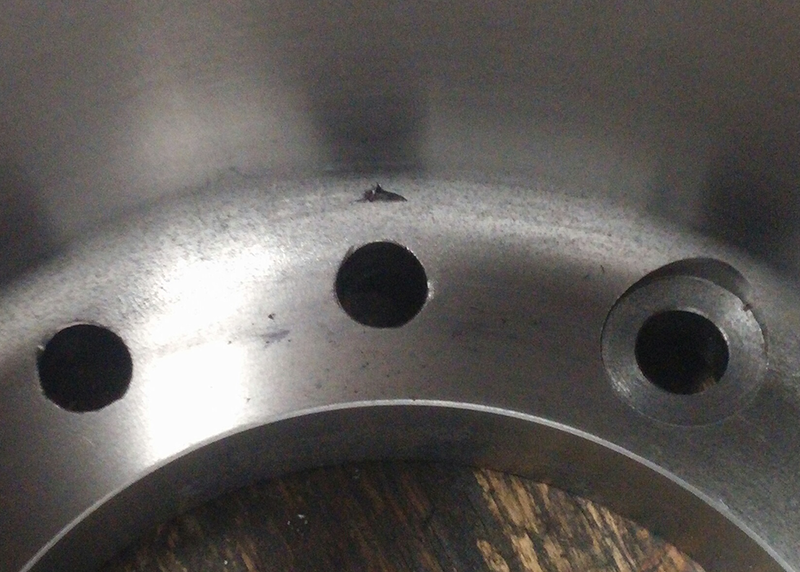 The customer simply wanted to speed up this process, but due to the difficulties of machining the material (Inconel) and the accessibility of the bores, he didn't think it could be done. As it turned out, this customer was able to reduce a 6 hour process to 35 minutes, with one single set-up and no need for manual operations. A skeptic no longer, this customer is more than happy with the time and cost savings from taking the leap and switching to the BSF tool. Cast Iron Spotfaces before BSF: inconsistent parts and tool breakage issues. Even with tough materials like cast iron, the BSF tool sets itself apart from the competition with its strength and consistency. Facing issues of repeated tool breakage with other tools, one customer in the heavy construction market came to HEULE for a solution to speed up production and produce more consistent parts. With a tool that had been breaking after fewer than 10 holes, replacing that tool with the BSF successfully saved them both time and costs in the production of a cast iron engine pulley (not to mention fewer headaches). In another application using cast iron, applying counterbores to a wind rotor wheel, BSF proved a stable and strong solution with a longer blade life than other tools. On softer materials like aluminum for a motorsports application, BSF also performed well, cutting process time without the need to re-clamp the work piece. How Does the BSF Work? The BSF is specifically designed for CNC machining and functions without an anti-rotation device, change of spindle direction or contact mechanism. 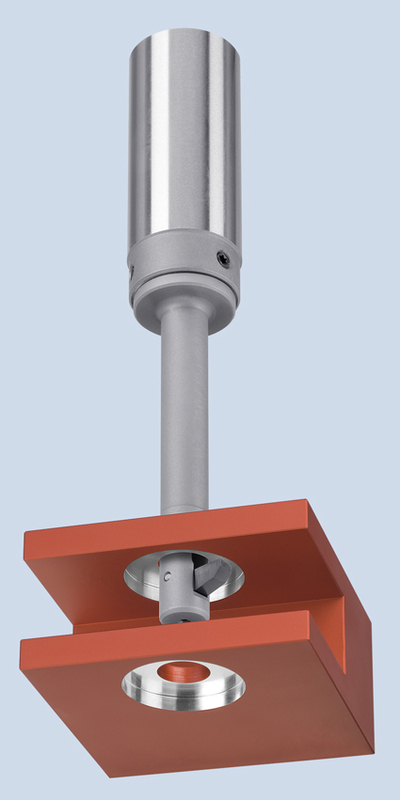 The blade expands using centrifugal force when activating the spindle and retracts by coolant pressure. The coolant pressure moves a piston which is pushing a pin that forces the blade (closed) into the blade housing. The design of the BSF focuses on optimal cutting performance, chip removal and reliability. The tool and the blade have special coolant pipes and chip-guiding geometries that continuously flush the blade window and the blade itself with coolant. This keeps the whole section clean and allows for optimal chip removal. For more information on the BSF tool, please visit our products page, as well as the catalogs and videos page. Do you have a back spotfacing application with a high volume of holes? Contact us at info@heuletool.com and we can connect you with an application engineer who can help you automate your process for faster, more cost-effective production.